Who is Sweet William, you might ask. He’s a bit like a familiar character from an original Twilight Zone episode. You think you know him. You might have heard he was playing music not far from you. You might have run across him, or he you. He's a traveling troubadour with timeless Vermont up country roots... generations back? It's hard to tell. But it's easy to say, "Hey, there's Sweet William”! Like so much in Vermont, those things that matter seem to come with a story known to the locals. Sweet William is a quiet chap, not prone to ringing his own bell, even if many see him as a snappy dresser that recounts songs of the common man and woman in a parallel universe to the digital media department age. He is very much now, as are you and me. 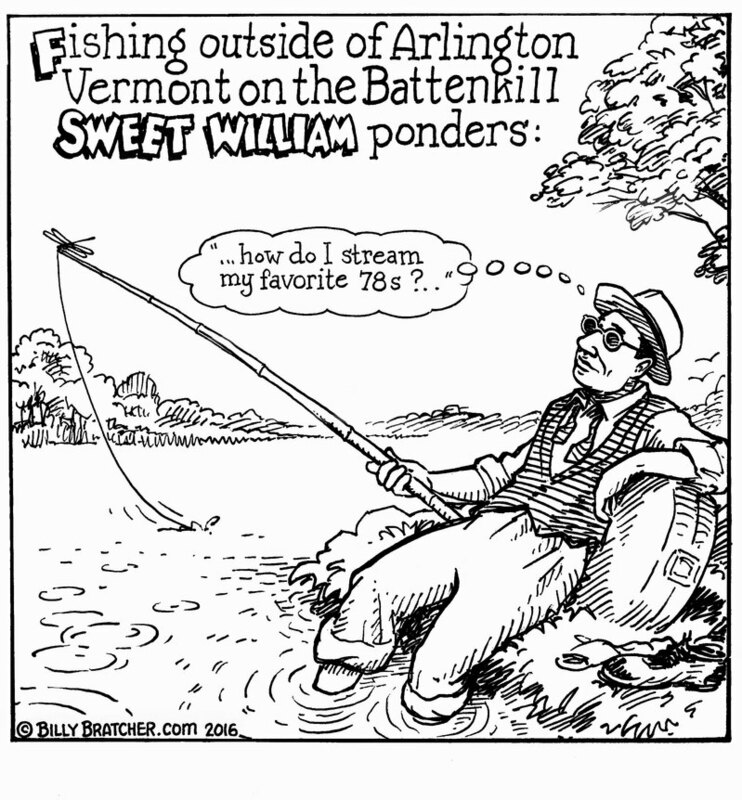 Sweet William might be two booths over at this all night diner, or the catch and release guy humming that catchy tune just down stream. He might be the quiet neighbor willing to lend a hand, who won't ask for you to return the yard tool. He finds time to say a kind word to the overlooked people he might meet. Like many in Vermont, Sweet William is about discernment and personal choice of what is worth embracing and making it yours. He is about choice, live and let live. Nature has it right, he is very much a part of the unfolding present with an appreciation of our collective past. Like a wise crow, he selects from the timeless and makes use of it now. Sweet William is really your everyday man. If you meet him, you'll have a friend and I'm quite sure he'll be glad to split a piece of pie, pick a tune and tell a story.